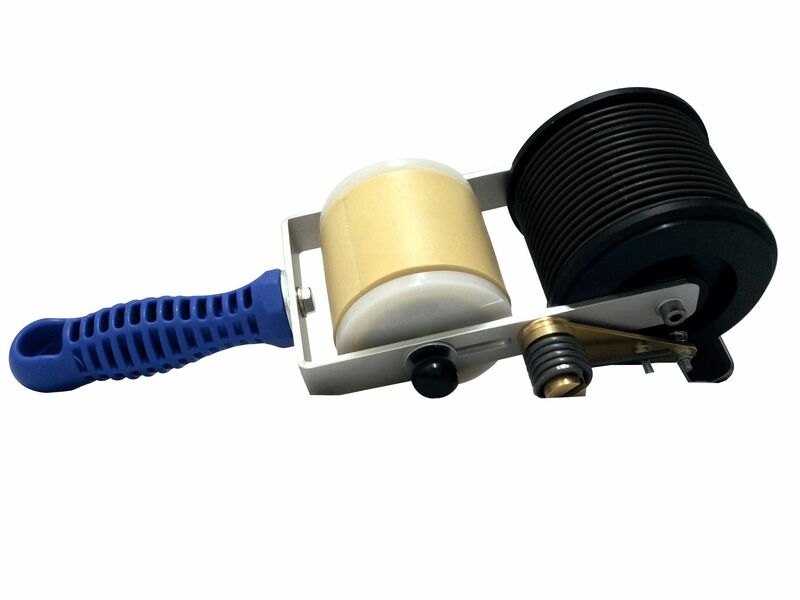 Hand roller stamps are manual printing rollers and are simple to use for printing cartons and other porous surfaces. In combination with TELOS baselock types, these hand rollers allow versatile prints which can be set and changed quickly. The corresponding plastic ink rollers are available un-inked or pre-iked in many colours. Hand roll stamps are available for continuous rotation or as standard hand rollers with spring return. Various sizes are available for your choice and requirements. Indexing hand printer: With return motion – you can print exactly one rotation. This stamp automatically returns to the start position after each rotation. You get one accurate, complete imprint every time. Non-indexing: For continuous printers, also known as random printers. The print wheel on these models continues until the user stops. Printing continuously at repeat intervals equal to the print wheel circumference. Price: For prices to our marking stamps please use our contact form or send us an email to info@margreiter-technik.com. Our sales team will advise you gladly.